I find it difficult to rant about the things I should rant about. Oliver Letwin wants to spread fear in the public sector; I raise my eyebrows. Francis Maude calls it ‘absurd’ that people in the public sector should be paid the same as their equivalents in the public sector and I let out a tired but resigned sigh. 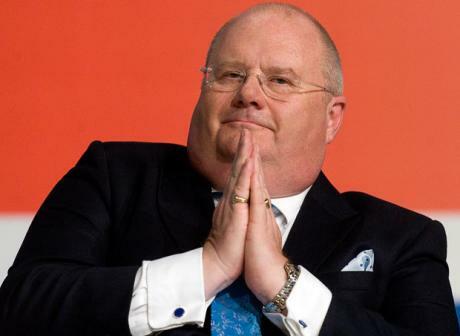 However, when Eric Pickles takes the opportunity of a quiet August Friday morning, when the news should be filled with previewing some form of sporting endeavour and commenting on a piece of toast with Britney Spears’ face on it, to claim that councils should be on an asset sell off I think my blood almost boiled. What state of ridiculousness does this man live in? Could he not take August off from bashing councils and maybe focus on building some bridges with local government? Could he not have simply focused on the admirable aim of open data hiding behind his headlines? 1) Selling off assets only releases a one off capital receipt. Thus, it might be possible to use one to fill a budget gap in year 1 but in years 2 and 3 that figure needs to be recouped in full, along with the other cuts needed for that year. In other words it simply delays the inevitable. 2) If the asset is bringing in revenue then selling it removes that revenue from a council’s income stream and leaves them needing to find even more money to balance the budget in years 2 and 3.